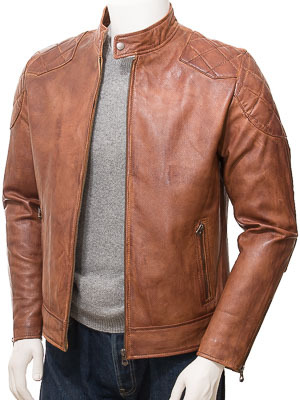 A relaxed, casual tan biker jacket in supple sheep aniline leather. 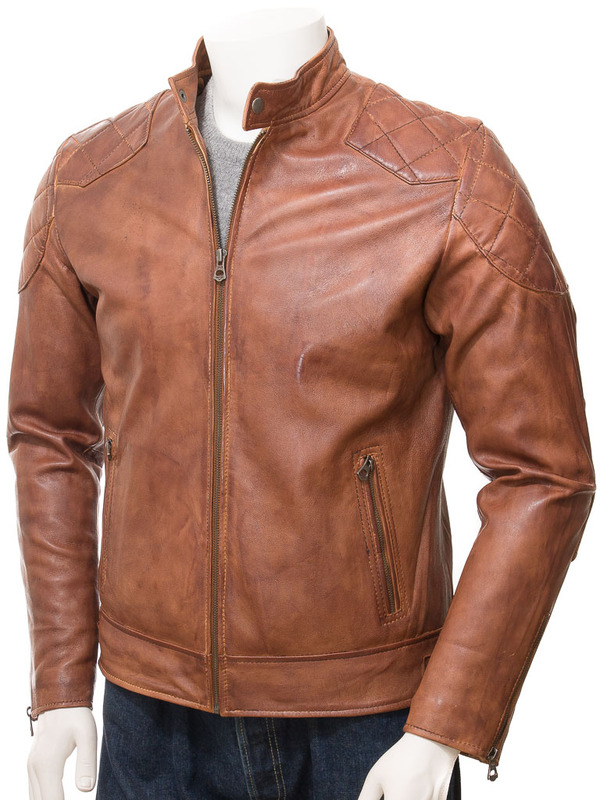 The style is timeless and sporty and the choice of leather gives a lot of tonal variation to the rich colour. 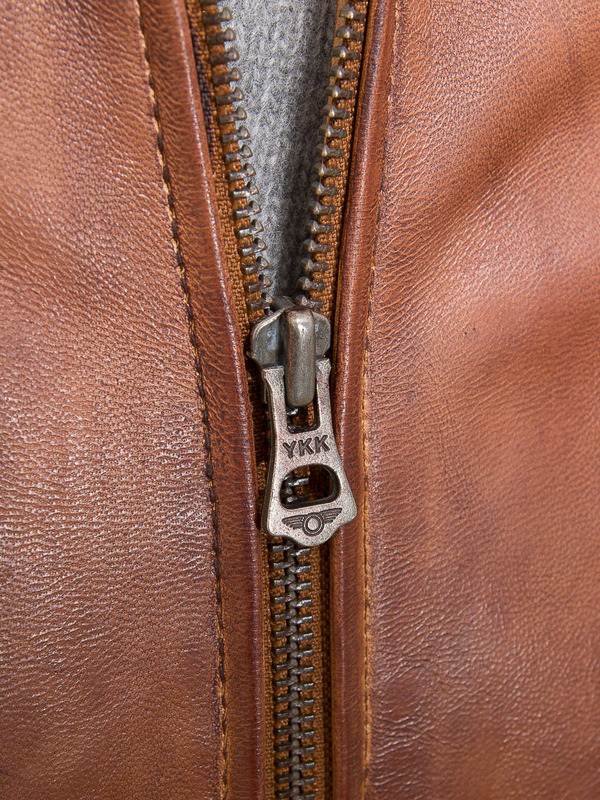 It features a YKK centre zip that leads up to a press stud fastened tab collar. 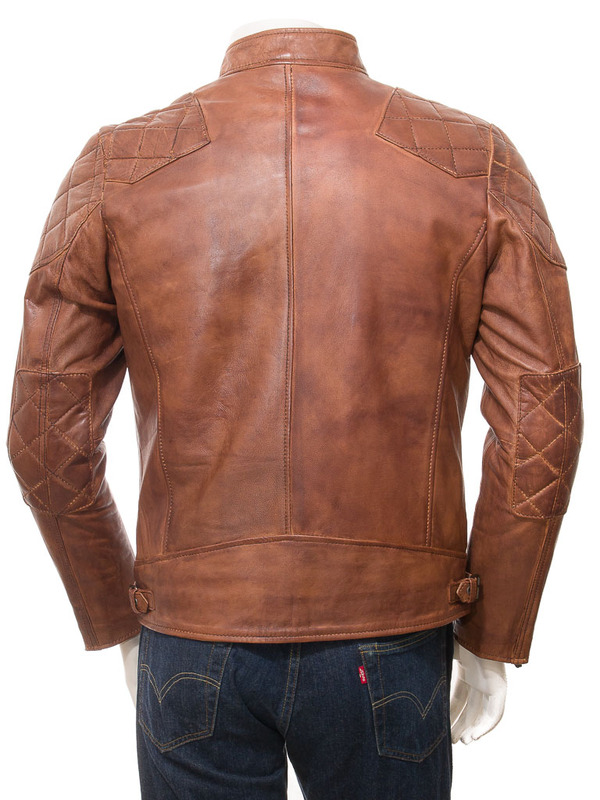 There are diamond stitched panels on the shoulder and elbow with zip gauntlet cuffs and two zipped pockets on the waist. 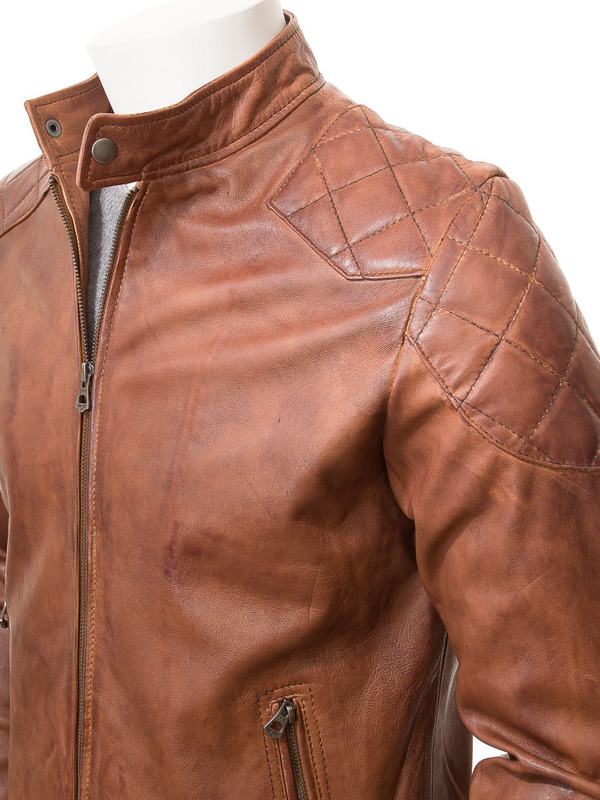 Inside the jacket is fully lined in a tonally matching poplin and incorporates two more leather trimmed pockets. The left side pocket is zipped.